Emma Faye Rudkin lost her hearing at the age of 3, but the former Miss San Antonio hasn’t let that hold her back. She founded a nonprofit to help other deaf youth and launched a music festival that’s a truly accessible event. Sitting at a table outside of the Shavano Park Local Coffee on a recent afternoon, the blue-eyed, bubbly Emma Faye Rudkin taps her feet to the deep bass beats of music throbbing from a nearby car without even thinking about it, her long blond curls bouncing slightly as she moves. In between “hellos” to friends walking into the shop, Rudkin says she turns the bass up in her own car, too, relying on the vibrations to enjoy the music, despite her profound hearing loss. A two-time Miss San Antonio and founder of Aid the Silent, a nonprofit that works with deaf children and teens, Rudkin taught herself to sing and has studied guitar, piano, the ukulele and music theory. It’s a passion that puzzles some—how can she love artists like Ben Rector and Parachute when she can’t hear their lyrics clearly?—and it’s the driving force behind her nonprofit’s biggest fundraiser, the Good Vibrations Music Festival, which Parachute will headline Sept. 29 at the Sunken Garden Theater. Rudkin dreamed of a festival that would be unlike any other—an interpreter would be on-site but instead of standing on the sidelines, he or she would be as much a part of the performance as the musicians. Deaf people would have access to wearable devices, like backpacks, that would pulse with the vibrations of the drums and other instruments as notes were played on stage. An LED dance floor and a visual sound wave board would light up and synchronize with the tempo of songs, real time captioning would be available and those with hearing aids could take advantage of looping technology that would transmit sound directly into their devices when they were within a certain radius of the stage. Rudkin knew it was a big goal, but after her experiences over the previous few years, she had the confidence to aim high. A Boerne native, Rudkin doesn’t remember a time when hearing wasn’t a struggle. She was diagnosed with significant hearing loss at age 3, the result of a severe fever and infection. Her parents, Kathy and Kurt Rudkin, were advised by doctors at the time to enroll her in a school for deaf children and to teach her sign language. Her parents, though, didn’t want to remove their daughter from the mainstream world. Instead of searching for a school for deaf children, they hired a speech therapist, outfitted Rudkin with hearing aids that helped to amplify some sounds and when she was old enough for school, placed her at a regular campus. The result was that Rudkin learned to “hear” from a young age by watching other people speak and to talk by mimicking the position of their mouths to create her own words. At 16, Rudkin attended a summer camp organized by the Christian youth group Young Life and came home with a new outlook on life. A counselor there welcomed her like any other teen—not because of or in spite of her hearing loss. “She told me it was part of my story and that my voice was beautiful,” Rudkin says. “She started asking what my biggest dreams were. I think she was the first person (other than my parents) to ever ask that.” Rudkin had grown up in a Christian church and school but says her experience at camp was the first time she realized that God could use her hearing loss for good. She left with a newfound resolve to embrace her disability. As a girl, Rudkin had dreamed of becoming a beauty queen, inspired by Heather Whitestone, the first deaf Miss America. Now, she told her parents, she wanted to dedicate her life to helping other deaf kids and teens. Her mom, though, thought the two dreams could be intertwined. Unbeknownst to her daughter, she put Rudkin’s contact information on a list for young women interested in the Miss Texas pageant. In her freshman year of college, Rudkin received an email—seemingly out of the blue—about an informational session regarding the upcoming Miss San Antonio pageant. She reluctantly agreed to attend the meeting, where she realized quickly that she was not prepared for the pageant world—several of the young women in the room had been working for years on their talent and look. She also realized, though, that if she could figure out how to win, she would have the platform she needed to further her goal of helping others in the deaf community. While she’d already been talking about starting a nonprofit to support deaf children and teens, signing up for the pageant pushed her to turn that vision into a reality. She worked with her mom, who owns an advertising agency in Boerne, to create a website and file paperwork to establish Aid the Silent. In 2015, in her first pageant ever, she was crowned Miss San Antonio. She competed again in 2017 and became the first woman since 1923 to be named Miss San Antonio twice. That year she also was fourth runner up for Miss Texas, where she won a community service award for her work with Aid the Silent. 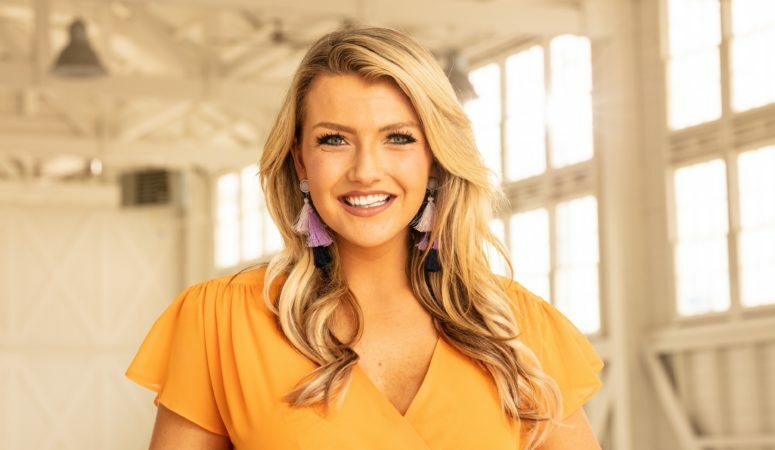 Rudkin says her pageant titles have given her the chance to speak throughout the state and the country about hearing loss and the importance of accessibility for those who are deaf. She’s used some speaking engagements as opportunities to raise financial support for Aid the Silent, which now provides hearing aids, activities and other resources to deaf youth. Rudkin also founded the first Deaf Young Life chapter and took a group of deaf teens to camp this summer. The teens are among those who’ve been invited to this month’s Good Vibrations Music Festival. At the inaugural event in 2017, Rudkin hoped a crowd would turn out but had no idea what to expect. Over 2,000 people purchased tickets to the fest, including 600 who are deaf. The festival had every accommodation she’d dreamed of, and she even performed a song alongside local musician Ryan Proudfoot. The biggest accomplishment, though, she says, was hearing from dozens of her deaf peers that it was the best experience they’d ever had at an event. Instead of standing in the corner by the interpreter, they were able to move about the festival freely and still participate because the interpreter was shown on a big screen next to the stage. Sign language, which Rudkin has only learned in recent years, was as common a form of communication as speech at the festival. And vibrating backpacks, which were instrumental in translating the sound to those who live with hearing loss, also served as educational tools for hearing people to better understand how music can be fun even for those who can’t fully hear it. “It’s easy to see people all the time and not realize what they’re dealing with,” Rudkin says. The 2018 Good Vibrations Festival will feature the same type of accommodations as the first festival but with the goal of reaching an even wider audience. Rudkin and her team decided to move it to the Sunken Garden Theater for its central location and because it’s more accessible for people with physical limitations. Performers at the festival include Parachute, Penny & Sparrow, Kris Allen, Willow City, Sarah Spivey (also a KSAT meteorologist) and San Antonio band Adopted Kids, among others. Rudkin has been traveling throughout the spring and summer to spread the word about the festival and the work of Aid the Silent, sometimes bringing her carry-on suitcase to UTSA so she can head to the airport as soon as class is over.